It is Standardized Test, the Test of English as a Foreign Language (TOEFL) which assesses the English Proficiency of people, whose native language is not English. Most Educational Institutes in the US and Canada (approximately 2400) ask applicants for their TOEFL Scores. 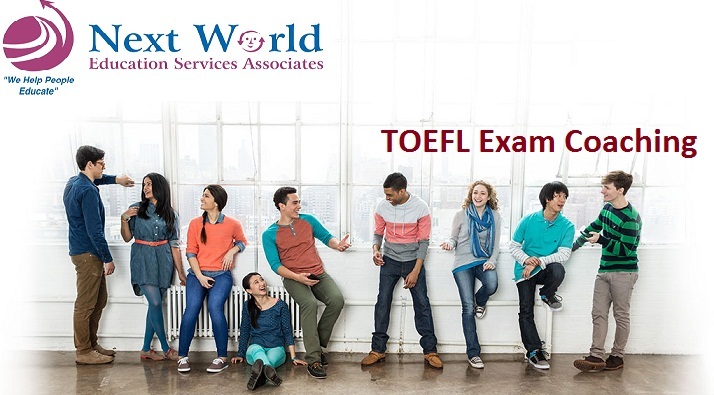 The TOEFL test is recognized by more than 10,000 colleges, universities and agencies in more than 130 countries, including Australia, Canada, the U.K. and the United States. TOEFL exam has four sections which are (1) listening, (2) reading, (3) speaking and (4) writing. The exam takes a total of about four and a half hours to complete and each section is taken online. The dates for our students are booked for IELTS as well as TOEFL. Apart from booking the test dates, we also facilitate the issuance of books from British council as well as IDP Education as per the available schemes from time to time from both the test providers. The whole process is efficient and is a great time saver for our students since they do not need to stand in queue and may rather utilize their precious time in learning the tricks of taking TOEFL & IELTS test head on and preparing themselves better for the test. Our students are better equipped to take the test after they complete the coaching at our centrally and conveniently located centers’ which caters to most of the New Delhi and NCR regions. The candidate is required to present his ideas using a varied range of lexical resource, grammatical range, and content of ideas. This module requires a candidate to effectively read, managing the time and he may also use the glossary for the keywords. This module assesses the ability of a person to be able to write using a wide range of vocabulary, grammar, and content. Automated scoring technology is used along with human ratings to score the independent and integrated writing tasks. The human judgment is used for content and meaning and automated scoring is used for linguistic features which shall ensure consistent quality scores. Your scores will be available online 15 business days after you take the TOEFL test and the said scores will be valid for a span of two years. The training at Next World shall help the student in the following ways to achieve the desired scores. Learning advanced grammatical range to help the student in writing and speaking. Learning a range of vocabulary to be used for speaking and writing.